Kathy L. Hackett is the Director of Choral Music at Plano West Senior High School located in the Dallas area and the leader of the West Cluster Choral Feeder Program in which she oversees seven schools. She has had the joyous opportunity to teach in a variety of high schools including Liberty and Kingwood, Texas, Atlanta, Georgia, Kansas City, Missouri, as well as Plano. 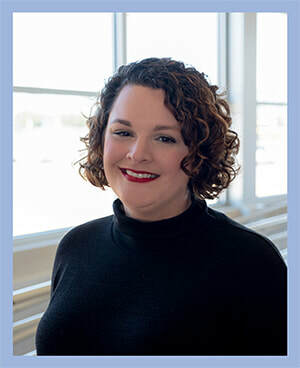 Ms. Hackett has served as the Choral Vice President of Texas Music Adjudicators Association in which she trained teachers across the State in UIL procedures. She has developed and presented workshops on various topics at music conferences. She has served as the All-State Organizer and section leader on several occasions for TMEA. She was the 2014 recipient of the TCDA Choral Excellence Award. The choirs under her direction have received consistent Sweepstakes and first divisions at UIL and she has placed numerous students in the All-Region and All-State Choirs. Her choirs have been selected to perform at TMEA and the Southwest ACDA conferences. Ms. Hackett has served as a guest clinician, conductor, and adjudicator throughout the State as well as in the Southeast, Colorado, and Alaska. Her professional affiliates include TMEA, TCDA, ACDA, and TMAA. She takes great pride in the students who have made a career in music education, music performance, music business, music law and Church music. Ms. Hackett and her husband, Paul, have two wonderful sons, Kevin and Stephen, and the precious rescue dog, Angel. Sarah Council is in her thirteenth year teaching in Plano ISD. Both at Plano West and Shepton High School, choirs under her direction have received many honors including a 2011 Texas Music Educators Association Invited Performing Choir, Best in Class at competitions, UIL Sweepstakes awards, and many students earning places in All-Region and All-State Choirs. In addition to her work at Plano West, Mrs. Council was honored to serve as the Vocal Chair for TMEA Regions 24 and 25. Mrs. Council is a proud graduate of Baylor University. (Sic ‘em Bears!) She has served as the Soprano Section Leader for the Texas All State Mixed Choir, and has spent many summers as a section leader for All-State Choir Camps. She is a member of TMEA, TCDA, TMAA and ACDA. Sarah is proud to have several former students enjoying careers in Music Education, Opera and Musical Theatre, and even more who are enjoying being lifelong musicians while pursuing other careers. On a more personal note, Sarah (Plano West SHS ‘02) is honored to share the stage today with her longtime teacher, mentor and friend, Kathy Hackett, to enjoy a wonderful moment of culmination in what continues to be a very rewarding and collaborative journey with the Plano West Choirs. Mrs. Council resides in Plano with her husband, Doug, who is also a Choir Director. Mr. and Mrs. Council have a Kindergarten son, Mason, and 3 big rescue dogs: Sadie, Sully and Stella!